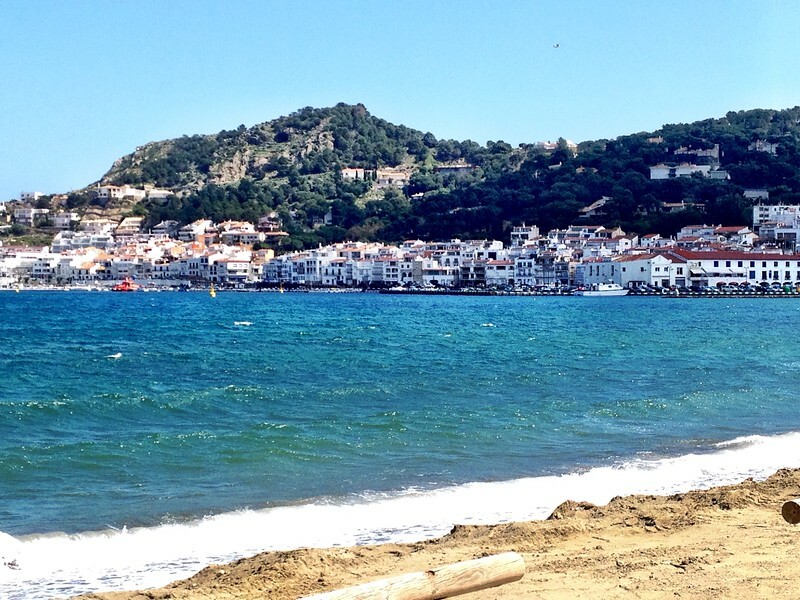 El Port de la Selva is a seaside village on the Costa Brava of Spain. This is a quiet and relaxed area that attracts a lot of day hikers. 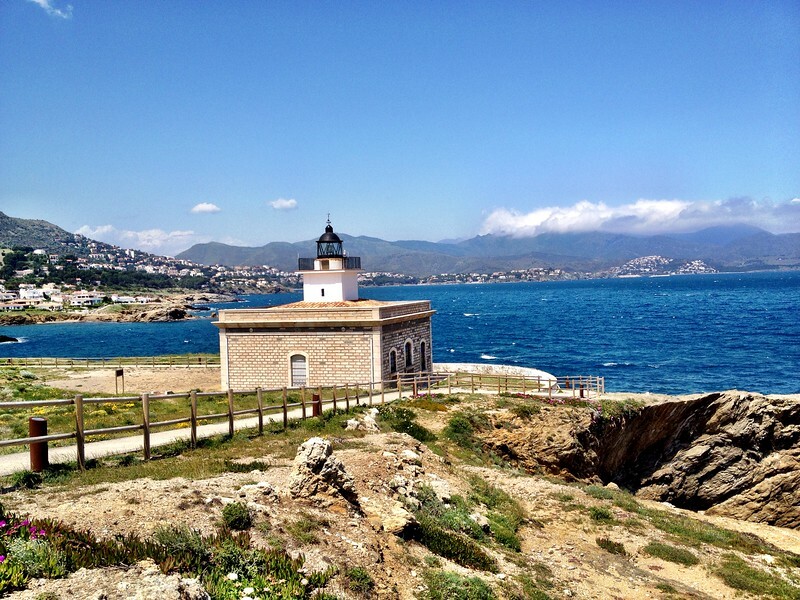 Families with young children will find little for them to do besides swimming and might want to consider one of the Costa Brava coastal towns like Blanes or Lloret de Mar instead. 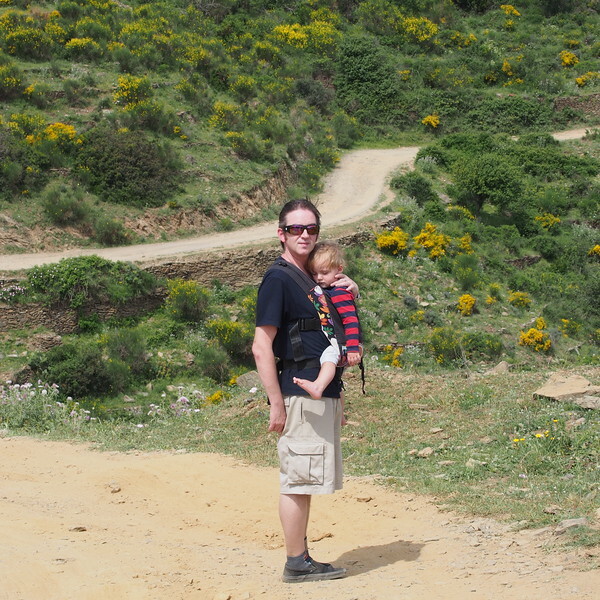 Walking the coastal path between El Port de la Selva and Llançà is an easy 5.7 mile hike, unless you have a toddler in a pushchair like I did. Most of the path is paved but there are a couple of stretches where I had to carry the pushchair up stairs or an unpaved section. I made it all the way to Llançà but I took the bus back. There are several lovely coves along this path that are perfect for some (almost) secluded sunbathing. Start of the coastal path to Llanca. The first section of the path is paved with only occasional stairs. 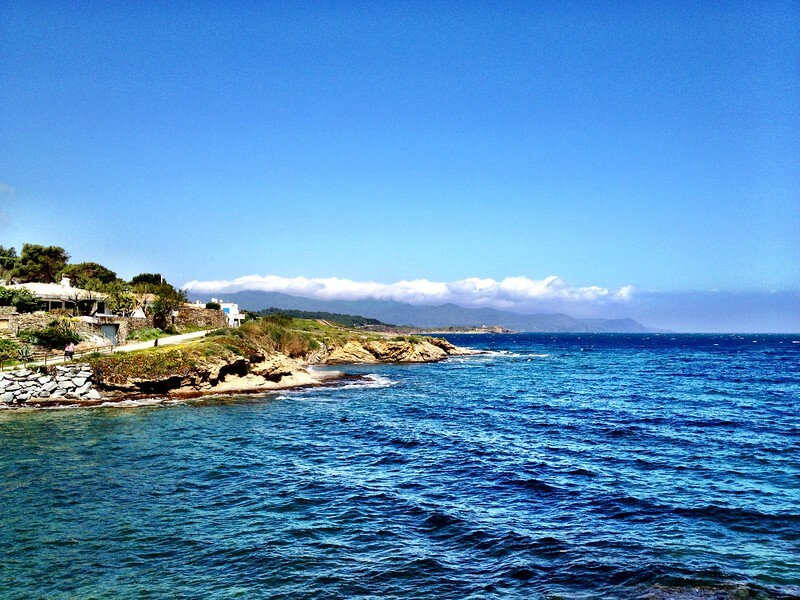 It is possible to walk from El Port de la Selva to the village of Cadaqués, but it will take you 7-8 hours. 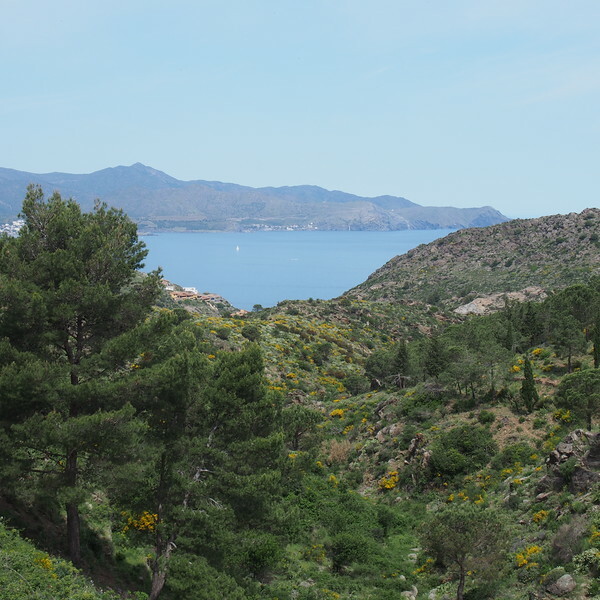 If you are interested in hiking that side of Cap de Creus, you are better off staying in Cadaqués. A taxi to Cadaqués will cost a minimum of 26 euros each way. There is a much shorter hike to the ruins of Ermita de Sant Baldiri Taballera (Saint Baldiri Taballera Hermitage). This is the hike that we attempted with L.N. in a sling but gave up halfway through and turned back. There were just too many cars passing us on the trail and so we had no opportunity to put L.N. down and let him safely walk to give our shoulders a rest. Disclosure: I received 4 nights free accommodation as part of a travel blogging conference I attended. However, I got to choose the hotel and was under no obligation to write about it. 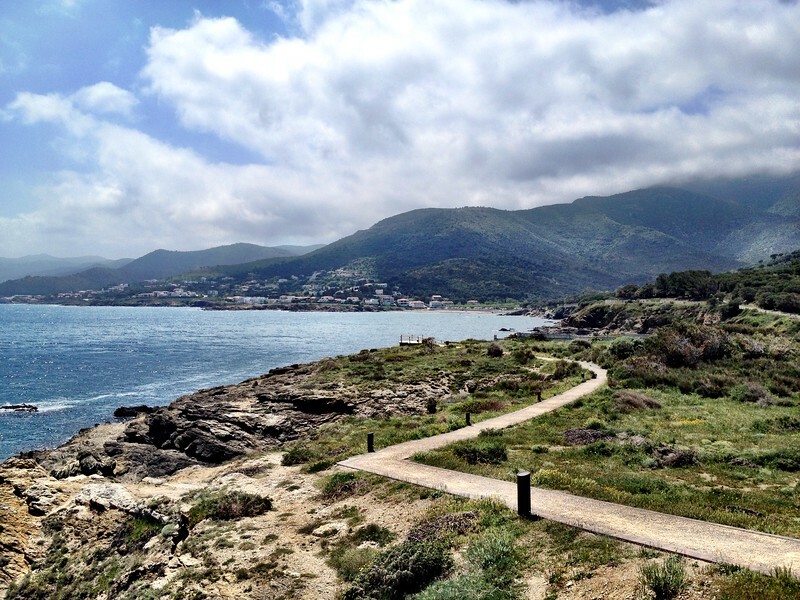 If you plan to do any hiking in El Port de la Selva, you can’t go wrong with staying at Hotel Spa Cap de Creus. You will start your day with one of the best breakfast buffets I have seen in Spain so far, overlooking the harbour. Our room included a jacuzzi bathtub, and after a long day of hiking, you will enjoy soaking your tired legs. Be sure to schedule some time in their spa and treat yourself to a massage or beauty treatment. I did not visit the spa but prices looked reasonable. 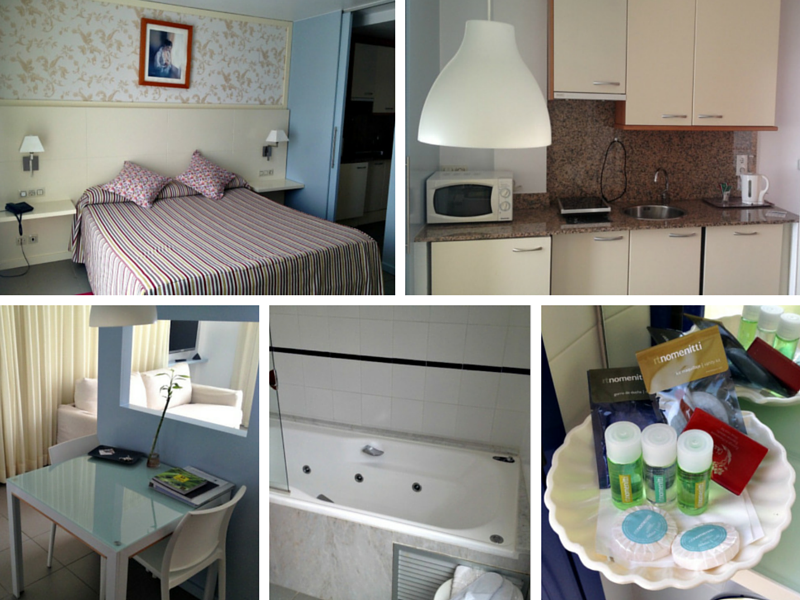 All rooms have a kitchenette and there is a supermarket directly next door to the hotel. We did not do much cooking, but it was convenient to be able to make sandwiches for a hike or pick up a ready made pasta salad at the supermarket. The rate for our room starts at 150 euro a night . Hikers and cyclists on a stricter budget who wish to stop in El Port de la Selva, might want to consider Hostal German with rates as low as 52 euro a night for a twin room. 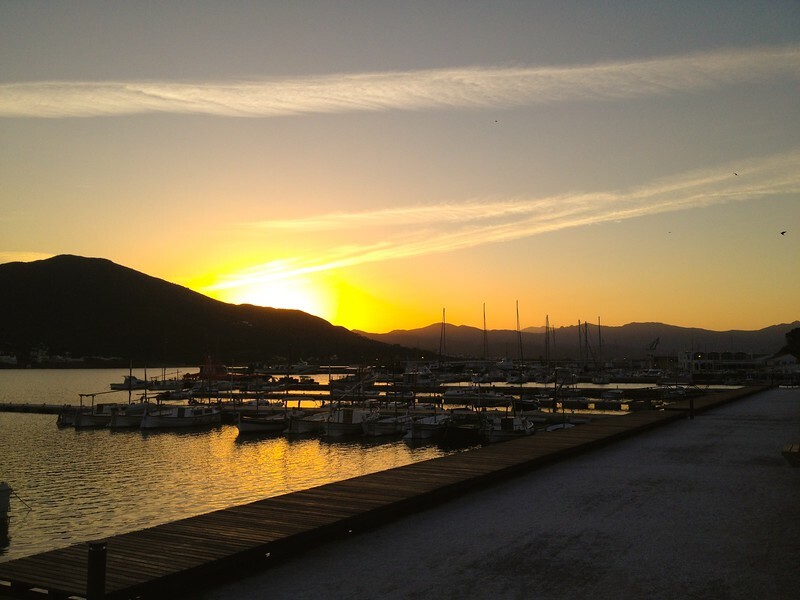 Evenings are mostly quiet in El Port de la Selva. There are restaurants lining the waterfront but some of them close relatively early. Opening times might depend on the season, as there were a couple of places that did not open until June.